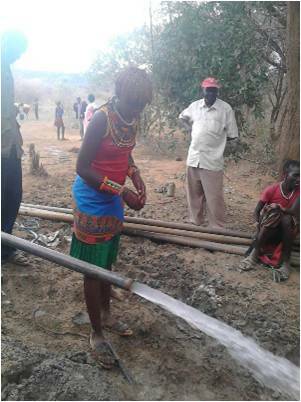 Baringo County Government’s approach to the improvement of access to water solutions is multipronged. 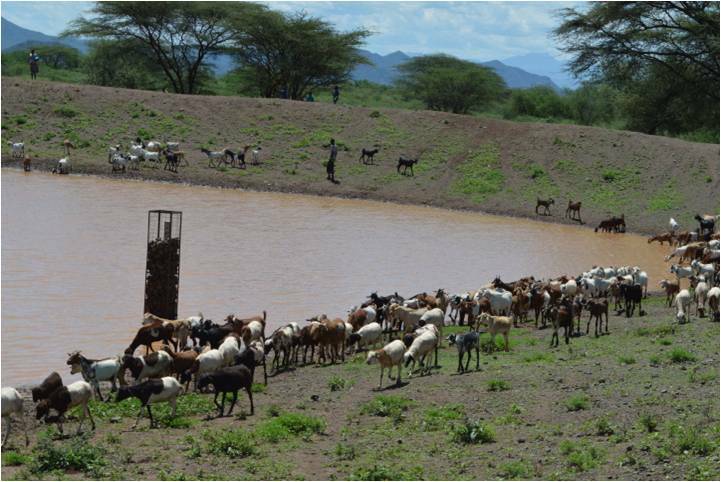 Our water projects target to reduce distances that our people cover to get clean water, provide sufficient quantities for domestic use and enough to adequately water our livestock within their localities. Wherever possible, we strive to harness water sources to surpass this and provide water for irrigation and industrial use. Since 2013, over 200 water supply projects have been rolled out, among them 15 government funded bore- holes, 100 gravity systems, 23 water pans, rehabilitation of 61 existing water supply schemes, and pipeline extensions for water projects in 30 wards. These has resulted to increase of access to water from 35% to over 60%,as over 400,000 resi- dents and their livestock are accessing this precious commodity. This translates to an estimated population of 400,000 people getting water. With the expected completion of second Phases of Kirandich and Chemususu (handed over to the County Government by H.E President Uhuru Kenyatta recently) dams, we expect access-to-water levels to surpass the 80% mark. Each of the two dams has the capacity to supply enough water to support industrial investments in the county. With support worth KShs 1.3 billion from Japan Government through JICA, we are sinking an additional 100 boreholes which we expect to be fully operational by the end of 2016. Good progress is therefore being witnessed in ensuring Baringo communities, our various institutions and trading centers are supplied with clean water. The implementation of 13 irrigation scheme projects in the last three years has increased land under irrigation by over 2,000 acres. A number of schemes developed have been the target for expansion as second and third phases with the intention of realizing additional 3000 acres coverage of land under irrigation. This will bring the total land under irrigation to 10,070 acres and place us well on the path to not only being food secure, but also to being a surplus food producing county.